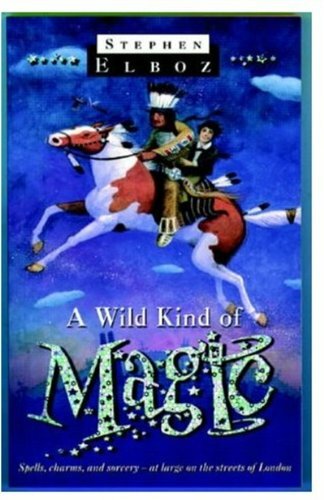 It seems appropriate that a novel entitled A Wild Kind of Magic should be a 'wild kind' of book: such is certainly the case here. With a pace that rarely flags (and which indeed occasionally threatens to be exhausting) this piece of madcap entertainment pits the forces of young magician Kit Stixby and his best friend Henry, Queen Victoria's grandson, against the assorted powers of kidnappers, vampire gangs and other larger than life villains straight from the best (or worst) of Victorian melodrama. The murky criminal underworld of the period - complete with the presence, or non-presence, of Jack the Ripper - is here in all its decadent glory, given an extra frisson by the supernatural dimension of the story. Great fun: and watch out in particular for Chapter Ten, set in a sleazy music hall, with the proceedings presided over by its owner, the wonderfully named Belle Canto.